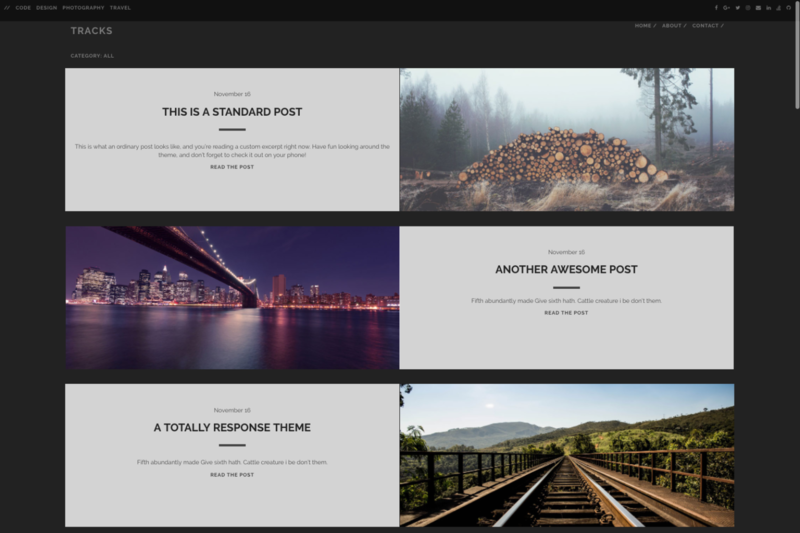 Tracks is an elegant, responsive theme. After installing the Universal theme successfully, we recommend you to take a look at the exampleSite directory. You will find a working Hugo site configured with the Universal theme that you can use as a starting point for your site. You can change the color of the theme by modifying the following key. The optional comments system is powered by Disqus. If you want to enable comments, create an account in Disqus and write down your shortname.